The Bellagio Resident Fellows program offers a serene setting conducive to focused, goal-oriented work, and the unparalleled opportunity to establish new connections with fellow residents from a stimulating array of disciplines and geographies. The Bellagio Center is located in Northern Italy between Lake Como and Lake Lecco in the town of Bellagio. 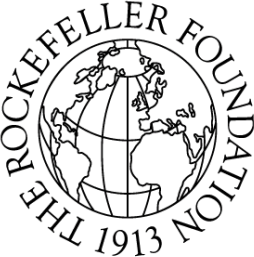 The Rockefeller Foundation Bellagio Center's mission is to promote innovation and identify impact-oriented solutions to critical global problems. The Center, through conferences and residency programs, supports the work of scholars, artists, thought leaders, policymakers and practitioners who share in the Foundation’s pioneering mission to promote the well-being of humanity. Residencies are open to university or think-thank based academics in all disciplines, creative artists, journalists, as well as policymakers and practitioners from the governmental and non-profit sectors. The Bellagio Center has a strong interest in applications that align with the Foundation’s core issue areas: Advance Health, Revalue Ecosystems, Secure Livelihoods, and Transform Cities. Room and board are provided to all residents and their spouses/partners. Airfare is not included in the residency program; however, the foundation does have a limited travel assistance program based on the income of invited residents. Applications must be completed online in English and submitted by 23:59 December 1, 2014. Before applying, please, visit the application guidelines page. Applicants who have trouble accessing the online form may contact program staff at: bellagio_res@iie.org to discuss alternative ways to submit the application.